The Malaysian round of the Volvo World Golf Challenge 2016 not only presented golf enthusiasts the opportunity to test their skills and have a shot at fantastic prizes, but it also allowed them to contribute to a worthy cause. This year, Volvo Car Malaysia sponsored a Volvo XC90 worth RM 403,888 (without insurance) as the game’s Hole-in-One prize. 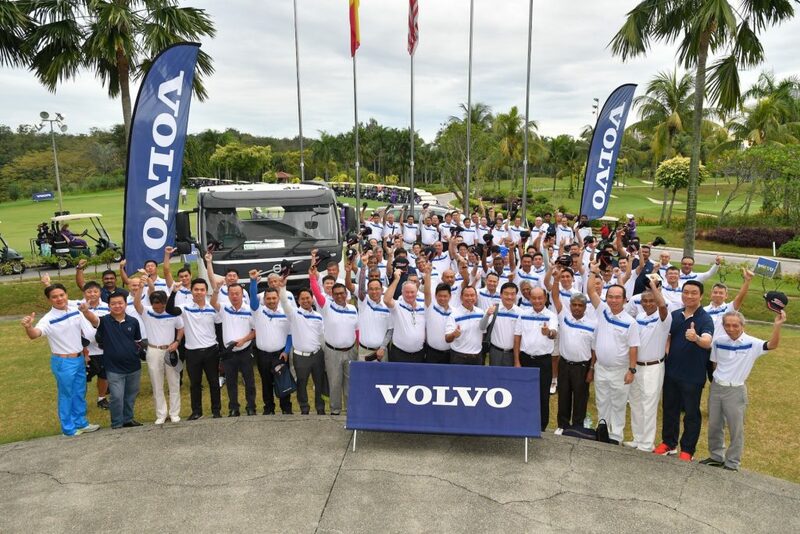 Organized by Volvo Malaysia, the annual event, held for the 9th consecutive year, witnessed 111 participants made up of customers from Volvo Trucks, Volvo Buses and Volvo Financial Services, business partners and members of the media deck it out at Tropicana Golf and Country Resort. The half day event saw golf enthusiasts tee off early in the morning and the winner was crowned during the luncheon held at the resort. 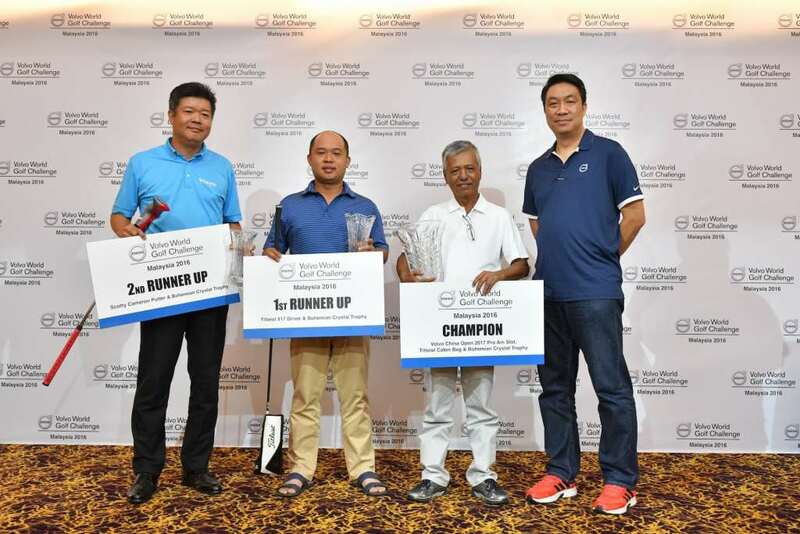 Tuan Haji Ahmad Zubir from Zha Pengangkutan was named the champion of Volvo World Golf Challenge 2016 with a score of 37 (OCB). He won a Titleist Cabin Bag, a Bohemian Crystal trophy and a chance of a lifetime to play with pro-golfers at the Volvo China Open in April next year. “This is like a dream come true, although I did not get to drive home the Volvo XC90, but I will get the chance to play with some of the world’s top golfers next year! I have participated many times in the Volvo World Golf Challenge and winning today was unexpected. I would like to thank Volvo Malaysia for this chance and I look forward to the next Volvo World Golf Challenge in 2017.” said Tuan Haji Zubir. 1st runner up went to Jee Chau Hau of Taipanco Sdn Bhd and 2nd runner up is Charlie Lau from Freight Mark Sdn Bhd. Both of them walked away with one Titleist Scotty Cameron Putter and one Titleist 917 Driver respectively together with a Bohemian Crystal trophy each. This year’s Challenge also saw Volvo Malaysia partner with the National Autism Society of Malaysia (NASOM) to raise funds and create further awareness on autism. Aside from selling limited-edition truck scale models donated by Volvo Trucks and drawings painted by children from the society, participants also had the chance to browse stalls set-up by NASOM which sold handmade craft, muffins and donuts as well as bid for limited Titleist and FootJoy merchandise. The partnership with NASOM follows in the footsteps of last year’s inaugural Volvo World Golf Challenge charity auction. The event received immense positive feedback and support from customers, business partners, media and even internal staff, leading to this year’s NASOM tie-up. “Throughout the years, Volvo Malaysia has been actively championing charity causes and organisations. Giving back to the community is something very close to Volvo’s heart, which is why we are very happy to be able to work with NASOM and are privileged that they are joining us today. Last year, we held our first charity auction during the Volvo World Golf Challenge and it received tremendous positive feedback thus, we’ve decided to bring it back with a twist. We hope to do our part to help amplify everyone’s understanding and acceptance towards autism, a lifelong developmental condition that affects, among other things, the way an individual relates to his or her environment and their interaction with other people that we may encounter in our daily lives. We are very happy to announce that through all the activities organised today, we have managed to raise a total of RM 24,000 and all this will be donated to NASOM.” said Mats. The highlight of the charity drive was the purchase of 2 paintings specially drawn by 2 talented individuals from NASOM. One was the painting of the Volvo FH purchased by Volvo Trucks Malaysia and the other was the XC90 purchased by Volvo Car Malaysia for a combined price of RM 8,000. One-of-a-kind LaFerrari Auctioned Off For RM31 Million!